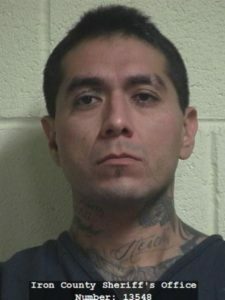 CEDAR CITY – Nearly two years ago, following a night of drinking, Eric Rodriguez and Clarissa Bulletts tried to lure Shawn Multine out of his home located at the 100 East block of 575 North on the Paiute Reservation in Cedar City. Another man, Angelo Seth Carrasco, waited outside outfitted with a high-powered rifle Bulletts — Multine’s stepdaughter — had given him. When Multine didn’t come out as the three had planned, Rodriguez and Carrasco went in to get him. Forcing their way through the door of Multine’s home, the pair first assaulted a woman who tried to stop them from entering. The men then physically attacked Multine before turning the gun on him. Police would later learn Bulletts, who was Carrasco’s girlfriend at the time, instigated the night’s events by concocting a story that her stepfather had molested her. She would eventually admit to authorities she lied. Since then, Shana Multine has had her life wrapped up in the courts waiting for the day justice would finally be served in the 2014 murder of her brother. That day came Friday when 5th District Judge Keith C. Barnes handed down the sentence to Carrasco, the last of the three defendants involved in her brother’s killing on Oct. 26, 2014. Barnes sentenced Carrasco to 25 years to life, guaranteeing the man who fired the fatal shot will spend, at a minimum, the next quarter of a century behind prison walls. For Shana Multine and her family, a lifetime in prison for Carrasco will never be enough to bring her brother back. But it’s a start, she told Cedar City News. The Multine family plan to be at the defendant’s parole hearings, she added. Carrasco pleaded guilty to aggravated murder, a first-degree felony, in December 2015. As part of his plea agreement, the Iron County Attorney’s Office agreed to drop two additional charges of aggravated burglary and aggravated assault, both first-degree felonies. During the police investigation, Carrasco told authorities he had gone after Shane Multine based on Bulletts’ allegations that her stepfather had sexually abused her, court records state. Carrasco’s attorney, Richard Mauro, used Bullett’s story to try and justify his client’s actions. Iron County Attorney Scott Garrett argued Bulletts’ allegations did not warrant murder. “A reasonable man would have contacted police,” Garrett said. A number of Carrasco’s family spoke on behalf of the defendant Friday, telling the court they believed childhood experiences in Carrasco’s life may have played a part in his choices – specifically alcohol and sexual abuse he suffered at the hands of others. Bulletts pleaded guilty to second-degree felonies of manslaughter and obstructing justice in September 2015. 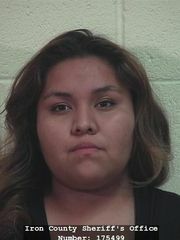 She was sentenced to a minimum of one to five years in prison on each charge with sentences running concurrently. 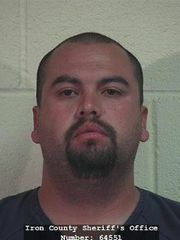 Rodriguez pled guilty to a first-degree felony murder charge. He was sentenced in May to 15 years to life.